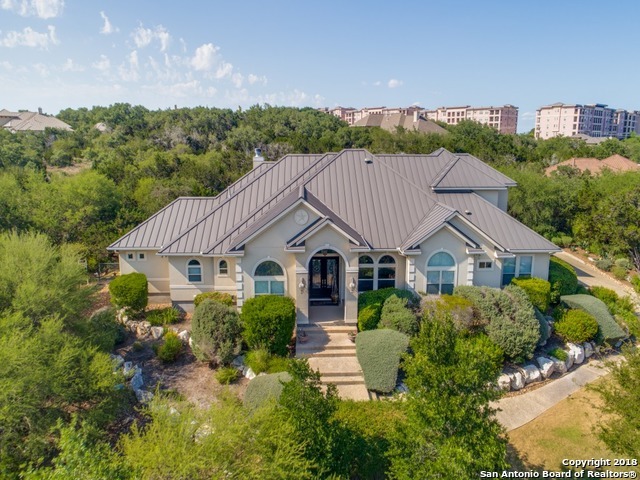 All FOSSIL RIDGE homes currently listed for sale in San Antonio as of 04/22/2019 are shown below. You can change the search criteria at any time by pressing the 'Change Search' button below. "Stunning, elegant and exquisite architecture is what this 1.5 story home offers in the beautiful Fossil Ridge gated neighborhood. 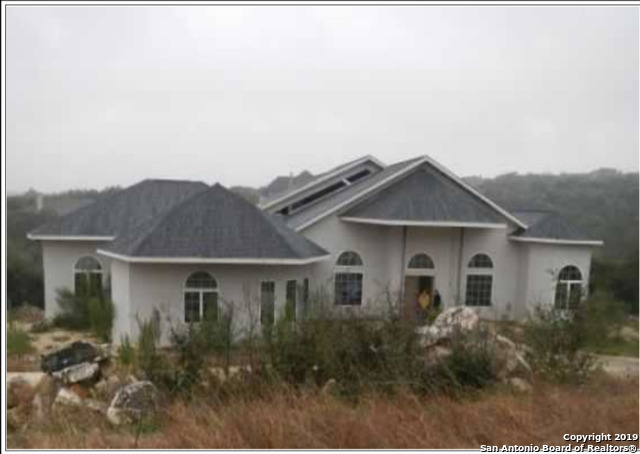 This home is nestled in 1.3 acres surrounded by state of the art landscaping & mature trees offering the utmost privacy. The home features 4 bedrooms plus a study. Stained concrete flooring, gourmet kitchen w/ a huge kitchen island, open floor plan, split master bedroom w/outside access. Keith Zars pool and spa, outdoor grill, covered patio, 3 car garage, metal roof a"
"Great opportunity! Nothing like this on the market! 8,500 + sqft on the first floor of this metal structured residential building. 4 beds and 4.5 baths (first floor) in the gated community of Fossil Ridge with an entire open/unfinished bottom floor of 5,000+ sqft. Wide open layout on 1.6 acres. This is a must see. Priced to sell, seller is motivated! Sold as is. This house is not complete and needs work. Seller can provide engineering drawings. Room sizes are approximate, please see image render"
"EXQUISITE ATTENTION TO DETAIL & MILLION DOLLAR VIEW! CUSTOM HOME ON OVER 2 ACRES IN POPULAR FOSSIL RIDGE, CLOSE TO MAJOR FREEWAYS, SHOPPING, DINING & PREFERRED SCHOOLS. BEAUTIFUL BLUFF VIEWS, COV.PATIO W/ OUTDOOR FIREPLACE, IN GROUND POOL, PRIVATE 900 BOTTLE WINE CELLAR, SOARING CEILING & OPEN, ENTERTAINING LAYOUT. CHEF'S KITCHEN, SECONDARY BEDROOM/BATH DOWNSTAIRS. FLEX ROOM FOR FORMAL DINING OR OFFICE, GRAND MASTER SUITE W/DESIGNER CLOSET. CAR ENTHUSIAST WILL LOVE THE OVERSIZED 3 CAR GARAGE! 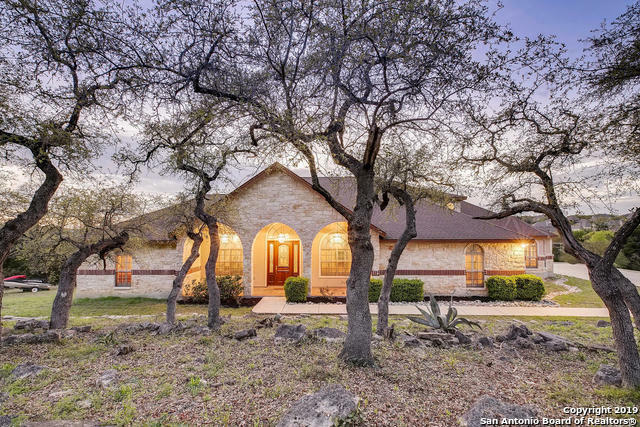 FA"
"Come home to this spacious custom home in the gated neighborhood of Fossil Ridge. Located on a 2.14 acre cul-de-sac lot, this incredible home boasts 6 generous sized bedrooms and a large gameroom with computer room and a half bath upstairs. Breakfast nook with tons of light off of kitchen with granite counters, plenty of cabinets, smooth cooktop, and double ovens. Stone half wall accent in family room. Master with sitting room and access to patio. Gameroom balcony offers country views. Plantatio"